Manchester City are willing to miss out on signing Arsenal's Alexis Sanchez this month, while Jose Mourinho has done little to dampen speculation Manchester United could swoop instead. The Chile forward, out of contract in the summer, has been a long-time target of Premier League leaders City but Press Association Sport understands they view the current asking price to acquire Sanchez in January as too great. It is believed the cost quoted - including transfer, wages and agent fees - is in the region of £35million and City, who are hopeful an agreement can be struck for around £20million, are prepared to walk away from the deal if it does not come down. They are also unconcerned if that opens the door for another club, with Mourinho having refused to dismiss possible interest from United. "I don't think it's correct to say things about Alexis Sanchez," the Portuguese said. "At the general level, what I can say is that myself and the Manchester United board, we don't believe a lot in the January market. We don't believe in signing players just to sign a player, just to do something. We don't believe in that. "What we believe really is that there are some players in the football world, if you have a chance to sign them, it doesn't matter if it is in January, March or July, you have to try. "But in relation to Alexis Sanchez, I don't say a word. The only word I can say is the same word that everybody says, he's a phenomenal player. "Apart from that, (he's an) Arsenal player, I feel I shouldn't say much more than this." City tried to sign Sanchez last summer and have been convinced that he wishes to work with his ex-Barcelona coach Pep Guardiola once more. 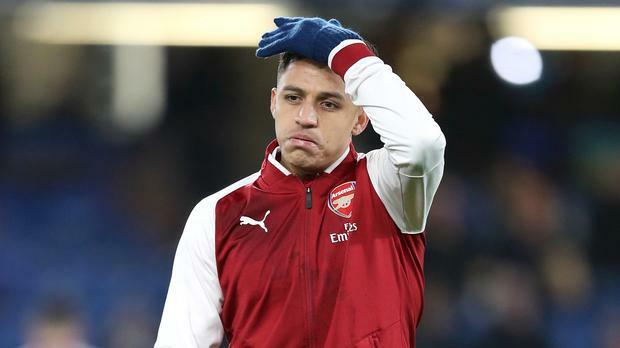 Though they had been willing to wait until Sanchez's deal runs out in June to try to land him on a free, they are under the impression to wants to move this month. The knee injury Gabriel Jesus suffered on New Year's Eve had the potential to bring any transfer forward, yet the Brazilian could now be back training within three weeks. Guardiola, who spoke before Mourinho on Friday afternoon, did not want to discuss the matter. "I am not going (to speak about it)," he said. "I'm focused on (playing) Liverpool, believe me. Alexis - everyone knows how good he is, but I am not going to answer about Alexis or other players." Another issue is that Arsenal manager Arsene Wenger does not want to let Sanchez leave this month unless a replacement is brought in. The Gunners, who maintain they are yet to receive an approach for their forward, have been linked with Bordeaux's Brazilian Malcom. Wenger said: "Of course I want a quick resolution. "Is he (Sanchez) replaceable in the way that we find exactly the same player? Certainly not, but there's always a way to find a different balance. "Alexis is an exceptional football player, he's a world-class player and if that happens (he leaves) we have to find a different balance in the team."